MDS-HAM Amateur Radio Products - MDS-HAM Amateur Radio Products help make operating easier with the Introduction of the RC-1-Y, and RC-1-M rotor control box. A digital rotor control box with a serial computer interface at an affordable price which is made in America. G8SLB SSTV Packet modems - SSTV and Packet Radio interfaces for PC and Amiga computers. ARIDX by UA1AAF - At the moment the most used program is UA1AAF. 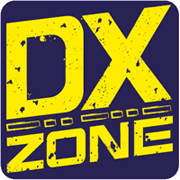 It is an excellent program written by Boris, UA1AAF, to handle ARI International DX Contest. It can simulate K1EA or N6TR workings; it will be possible to connect the RTX to the computer using a standard interface in such a way as to transmit directly in CW from the keyboard; most of the controls are like K1EA's CT and N6TR's TR ; on line help provides almost all the information necessary for using the program. Is possible to insert QSO after the contest. An appropriate utility in included for conversion in ADIF format. The program is very small and therefore works without any problems on any IBM compatible computer with DOS 3.3 and over or Windows 95/98. SpectraScope - SpectraScope is a simple Windows interface program allowing your computer to view up to two audio waveforms in either the time or frequency domain. The program is a Windows soft panel operating as a dual channel oscilloscope and spectrum analyzer. The useful frequency of operation is 20 to 10,000 Hz in the time domain and 20 to 20,000 Hz in the frequency domain. The program uses the computer sound card to capture the audio input.